Growing up in Cherry Valley, the daughters of Leonard Keller knew there was something special about their father. As they got older, Nichole Siccardi and sister Jacquiline Mitchell grew to deeply value the heroism and humility of their father, a recipient of the Congressional Medal of Honor, the nation’s highest honor for valor against an enemy force. 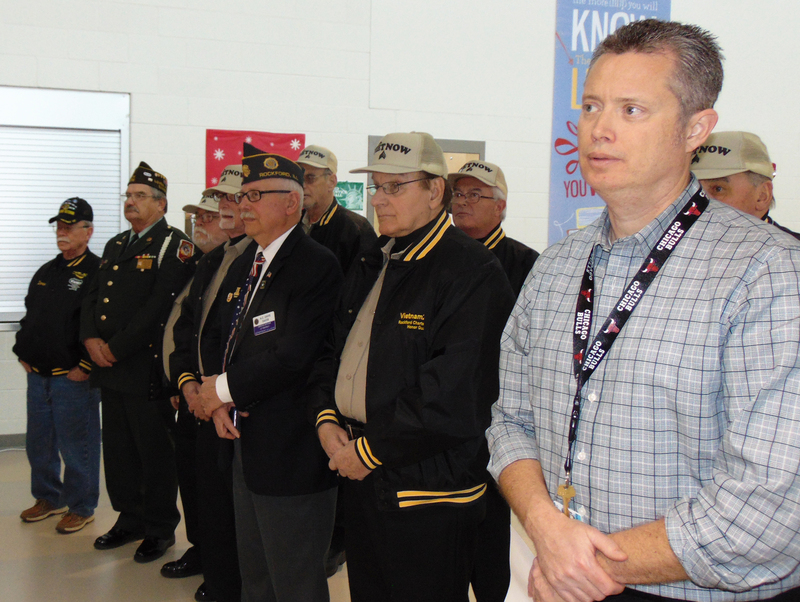 On Feb. 4 at the new Cherry Valley Elementary School, the full story of the late Army Sgt. Leonard B. Keller — a local kid who performed extraordinary service — was saluted as the new school’s gymnasium was named in his honor. A grey metal plaque is attached to a wall just outside the gym entrance. It features two Keller images — one of a young solder and another in his later years with the Medal of Honor around his neck. A red, white and blue U.S. flag and Congressional Medial of Honor Society logo is also showcased. Keller’s daughters hope current and future students and community members will share that appreciation. 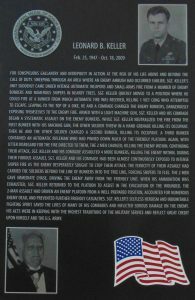 “Whenever people see the plaque and read the story I hope that they can see how courageous he was, how willing he was — if he had to — give up his own life for his service members in the Army with him,” said Mitchell. 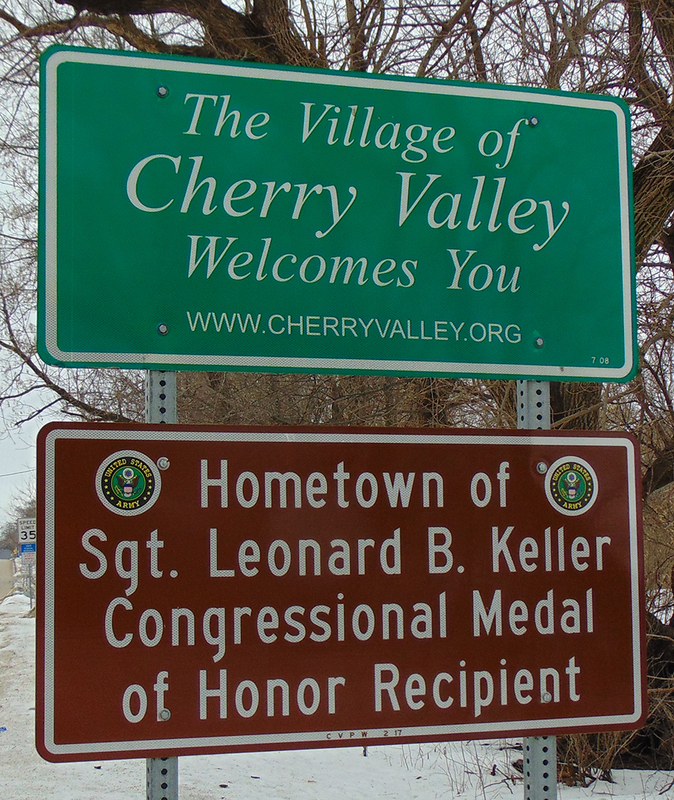 Keller is among 3,505 Medal of honor recipients since the 1860s, according to the Congressional Medal of Honor Society. At last count, 72 are still living. 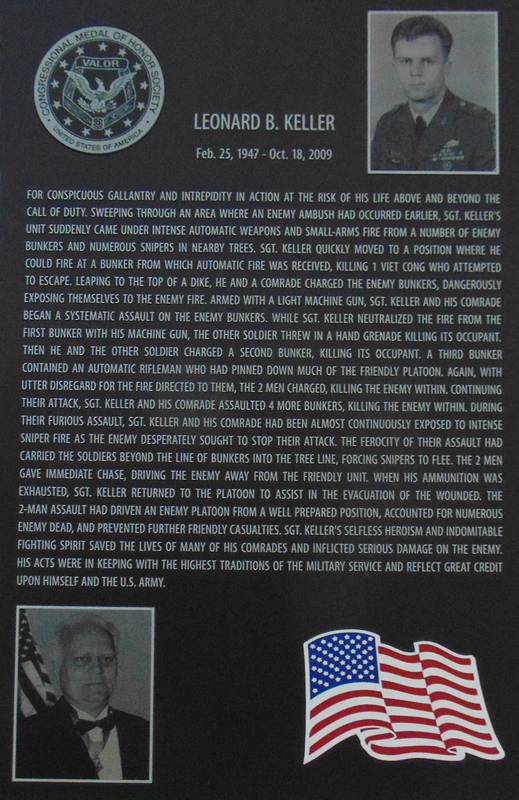 Keller died on Oct. 18, 2009 following a motorcycle accident in Florida and was buried in Arlington National Cemetery. Had he lived, Keller would have celebrated his 72nd birthday on Feb. 25. 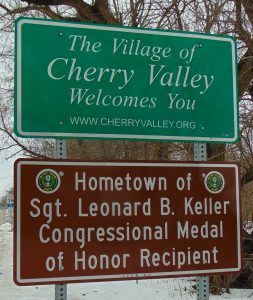 Born in 1947 in Rockford, Keller attended the old Cherry Valley Elementary School, back when the community was a distinct small town and the nearby CherryVale Mall was just a distant dream of developers. Keller went on to Rockford Guilford High School and was drafted into the U.S. Army in 1966 as American commitment dramatically climbed to 385,300 troops that year and reached a peak of 536,100 by 1968, the year he was discharged. He was assigned to the 60th Infantry Regiment, 9th Infantry Division and initially performed reconnaissance missions in South Vietnam’s Mekong Delta. For conspicuous gallantry and intrepidity in action at the risk of his life above and beyond the call of duty. Sweeping through an area where an enemy ambush had occurred earlier, Sgt. Keller’s unit suddenly came under intense automatic weapons and small-arms fire from a number of enemy bunkers and numerous snipers in nearby trees. Sgt. Keller quickly moved to a position where he could fire at a bunker from which automatic fire was received, killing 1 Viet Cong who attempted to escape. Leaping to the top of a dike, he and a comrade charged the enemy bunkers, dangerously exposing themselves to the enemy fire. Armed with a light machine gun, Sgt. Keller and his comrade began a systematic assault on the enemy bunkers. While Sgt. Keller neutralized the fire from the first bunker with his machine gun, the other soldier threw in a hand grenade killing its occupant. Then he and the other soldier charged a second bunker, killing its occupant. A third bunker contained an automatic rifleman who had pinned down much of the friendly platoon. Again, with utter disregard for the fire directed to them, the 2 men charged, killing the enemy within. Continuing their attack, Sgt. Keller and his comrade assaulted 4 more bunkers, killing the enemy within. During their furious assault, Sgt. Keller and his comrade had been almost continuously exposed to intense sniper fire as the enemy desperately sought to stop their attack. The ferocity of their assault had carried the soldiers beyond the line of bunkers into the treeline, forcing snipers to flee. The 2 men gave immediate chase, driving the enemy away from the friendly unit. When his ammunition was exhausted, Sgt. Keller returned to the platoon to assist in the evacuation of the wounded. The 2-man assault had driven an enemy platoon from a well prepared position, accounted for numerous enemy dead, and prevented further friendly casualties. Sgt. Keller’s selfless heroism and indomitable fighting spirit saved the lives of many of his comrades and inflicted serious damage on the enemy. His acts were in keeping with the highest traditions of the military service and reflect great credit upon himself and the U.S. Army. Keller and Wright were awarded the Medal of Honor for their actions at a September 1968 White House ceremony and presentation by President Lyndon Johnson. In later years, Keller served as a supervisor of the supply department at Naval Air Station Whiting Field, a flight training base near Naval Air Station Pensacola, Fla. 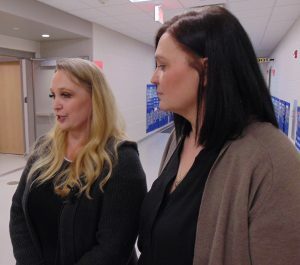 The new Cherry Valley Elementary School opened last fall, replacing the old downtown school that’s undergoing cleanup and asbestos removal. The new facility is projected to have decades of use, giving future students and community members the chance to learn about a hometown hero.